NT Blog: Q or not Q? Is there any shift? Q or not Q? Is there any shift? Chris Keith asked earlier today whether I was still in the minority about Q. His post generated a decent comments thread as well as a monster comments thread on Facebook (which is so often now the more lively place for conversation on these things). I don't doubt for a moment that the Farrer theory is still the minority position, but I have been glad to see a good number of people coming over to the side of the angels as time has gone on. It was something of a shock to me to discover just how deeply embedded belief in Q seemed to be, especially after I was cocooned by my Oxford education, where, in the 1980s, everyone seemed to be sceptical about Q (E. P. Sanders, N. T. Wright, John Fenton, Eric Franklin and later, John Muddiman). 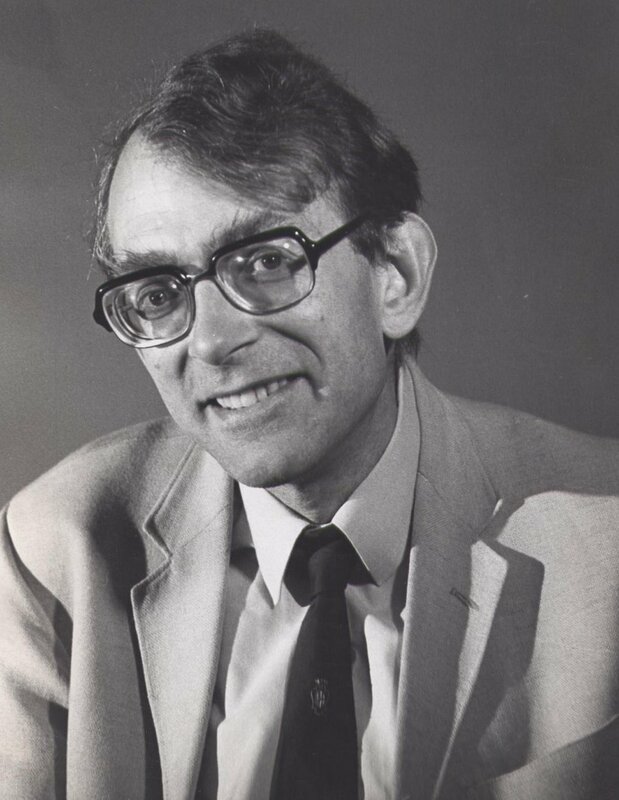 Michael Goulder (above) always used to feel that he was "contra mundum" on Q and he was delighted when Ed Sanders declared his (moderated) support for his theory in the book he co-authored with Margaret Davies in 1990. I have been lucky to have found myself a little less isolated, but even if that were not so, I would not be ashamed to find myself in the same camp as two of the finest minds (I would say the two finest minds) in NT studies in recent decades. But now, Anthony Le Donne wants to know just how popular the Q theory is these days -- and you can vote over on the blog he shares with Chris Keith -- Do You Q? So who do you side with? Memories are short in the blogosphere, but a handful of regular readers may remember that back in 2007 there was a similar poll run by Brandon Wason. The poll itself has now gone, but my post on it survives. Update: revised link. Already interesting results. If you have not done so already, go and vote now! I don't take kindly to you slandering Elvis like that. It’s good to keep in mind that the question of motivation underlies the origin of the Q hypothesis, and remains pertinent even today. Was the author of Luke (ALuke) a “crank” as Streeter had suggested if he had systematically taken many portions of Matthew absent from Mark and worked them into his own Lukan contexts? This would indicate a strong disrespect for Matthew and a preference for Mark, which was unacceptable within NT scholasticism. Q cured that problem. Mark, you proposed a much more acceptable or respectable motivation, based on aesthetic literary grounds. However, John Kloppenborg found that solution to be unsatisfactory. My own solution cast theological commitment, or maintenance of professional respectability, aside. It proposed that the anti-gentile aspects of (Hebraic) Matthew were unacceptable to ALuke. These included some 8 or 10 anti-gentile statements (still existent) along with reference to the “God of Israel,” while two important pro-gentile passages were not added until Hebraic Matthew was later translated into Greek. ALuke did not want their evangelistic efforts among the gentiles to be spoiled by an anti-gentile gospel. Details in http://www.tjresearch.info/MAH.htm . Yet he realized the importance of Matthew otherwise. My biggest complaint about Doherty's The Jesus Puzzle is the inordinate amount of space he spends on "The Q-community" - ironically, that is probably where he is most thoroughly in the mainstream. Some of the argument can possibly be salvaged by a mere change to "Matthean Community", but I still think his Pauline exegesis is stronger. I was educated by Helmut Koester and his students some 30 years ago now, and we took Q as a matter of course. My own concerns are now more in the field of ancient magic and Neoplatonism, but I wonder if you could take the time to answer a query about your work. As I understand it (and correct me if I am wrong), you propose that Luke is directly dependent on Matt, not on Mark + Q. So far so good. But what about the non-Markan material in Matt? If he obtained it form a written source, isn't that source Q just the same irrespective of whether Luke ever saw it? Or if he collected it from oral tradition (or even if he invented it), doesn't it in that case still remain a separate source from Mark, and in that case aren't you arguing over whether it should be called Q or Matt? I've read a couple of your articles (should read more, I admit), but I feel a little uncertain about how to grasp your arguments because I have not yet seen where you think the additional material in Matt (compared to MK) came from. Anebo: one clarification. You say that I "propose that Luke is directly dependent on Matt, not on Mark + Q". No, the Farrer theory is that Luke is dependent on *Mark* and Matthew. In relation to Matthew's non-Matthean material, I agree that it's an important issue and one that I discuss a little in the epilogue to the Case Against Q. But no, it's not the same thing as Q because it is basically the double tradition + special Matt (Q + M in the more prejudiced terminology), and one of the interesting things about that body of material is that it is so similar at all sorts of points, e.g. phrases and imagery that occur in the double tradition also appear on the special Matthew material. Michael Goulder attributed that material largely to Matthew's creative (midrashic) imagination but I disagree -- I think that Matthew had sources for it. Thanks for the explanation, but I guess we'll we have to agree to disagree. If you think that what you call special Matt is a written source that encompasses what Kloppenburg etc. call Q, it seems to me like quibbling. Thanks, Anebo. No, I don't think that "special Matt is a written source that encompasses what Kloppenburg etc. call Q". "it is basically the double tradition + special Matt (Q + M in the more prejudiced terminology)...I think that Matthew had sources for it"
I guess I just don't understand. Doesn't that mean that the material called Q comes from a written source that Matt used? Q is a source-critically extracted set of material from Matthew and Luke. If your point is that that material is essentially the same material as Matthew's non-Marcan material, then I don't think that's right. Yes, there are overlaps between the one set (Matthew's non-Marcan material) and the other set (Q), but they are not the same, no.